Sticking to one program for any length of time is not always easy. Whenever you check your e-mail, look at Facebook or open a magazine you’re overloaded by advice from people you don’t know telling you to do this or stop doing that. Every week you hear about some new and amazing training method. 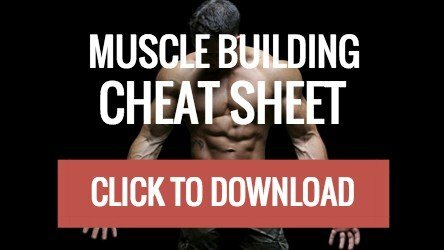 You think you’ve finally found “the secret” to building huge amounts of muscle in the shortest time possible. Because you can’t wait to try it out, you immediately stop what you’re doing and change your program completely. Until one day you wake up and realize that 12 months has passed, you’ve hardly gained any muscle and you’re no stronger than you were this time last year. I’m not saying you should follow the same workout week after week, month after month for the rest of forever. But hopping from one random workout to the next is, for the most part, a waste of the remaining time you have left on this planet. Variety at the expense of consistency almost always leads to a frustrating lack of progress. One of the best ways to add variety to your training program without screwing up your progress is to use the same workout template and simply rotate some of the exercises on a semi-regular basis. There are two big benefits to rotating exercises. The first is a reduction in the risk of “repetitive stress” injuries. Doing the same exercises week after week, especially if you’re lifting heavy weights, can take a big toll on your joints. Your wrists, elbows and shoulders feel constantly sore. The pain eventually gets so bad that it interferes with your training. You end up having to wait weeks, sometimes even months, before you can train properly again. Repeatedly performing the same exercises can also reduce exercise-induced muscle damage by way of something called the repeated-bout effect. Given that muscle damage plays some kind of role in stimulating growth, you don’t want to get rid of it completely. That’s not to say that more damage equals faster growth. Like everything in physiology, too much can be as bad as too little. Rather, there’s an “optimal” amount of muscle damage, above and below which size gains will be less than they otherwise would be. Rotating exercises involves taking an exercise from one category and replacing it with another exercise from the very same category. You might start out using the seated row as your main horizontal pulling exercise. Then you can switch to dumbbell rows, inverted bodyweight rows or any horizontal rowing movement that provides a sufficient level of resistance. With the deadlift, you might begin with a regular deadlift. Then you switch to a sumo deadlift. Then you replace the sumo deadlift with rack pulls. Although you’re still doing a deadlift, each variation will shift the emphasis to a different set of muscles. The same principle holds true with the other primary exercises. Dumbbells can take the place of barbells in both the bench press and overhead press. The leg press or trap bar deadlift can replace the squat. How often should you rotate exercises? That depends a lot on you and how long you’ve been training. As a rule of thumb, the amount of variety you include in your training (and by “variety” I’m talking about sets and reps as well as exercises) assumes a greater level of importance the bigger and stronger you are. Personally, I like to rotate the big compound lifts (squat, bench press, deadlift and overhead press) every 12 weeks. Many of the training programs used by members of the Westside Barbell club, which has produced some of the biggest, strongest men on the planet, involve rotating exercises on a weekly or biweekly basis. For best results, there should be some kind of semi-regular variation in your selection of exercises. This gives you the consistency of a structured plan but with enough variety to stop you getting bored. But there’s no need to start a completely different routine just because a set period of time has passed since you started the last one.